So you want to be a Microsoft Certified Trainer in Dynamics? 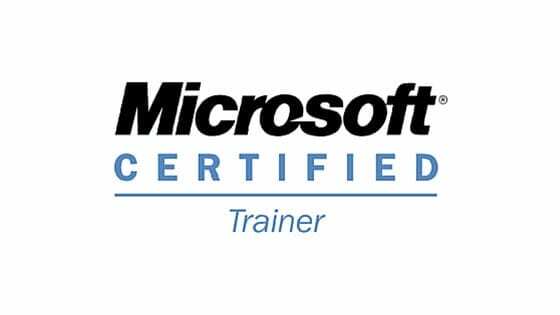 What is the Microsoft Certified Trainer accreditation? If you already have good knowledge of Dynamics, the Microsoft Certified Trainer accreditation helps you build your communication and presentation skills so that you can become a top notch educator. Microsoft Certified Trainers (MCTs) are an exclusive group seen as the premier technical and instructional experts in specific Microsoft technologies including Dynamics. There is a global recognition that many Dynamics users are undertrained and so firms aren’t getting the very best out of their systems. A lot of this is down to lack of skilled trainers. You could add this sought after expertise to your skillset. Additionally, Microsoft is now rolling out global programs like Dynamics Accelerate, which 365 Talent Portal is directly involved in. We’ve sent some of our lucky members over to Seattle for onboarding, and they are now training people face to face and remotely around the world. You could be one of these trainers. MCTs get special access to the resources they will need as a trainer – such as free access to Technet, official trainer packs and courseware, as well as exclusive trainer forums – to stay right up to speed with Microsoft technologies, in many cases before they are released to market. Of course this will also greatly help you in your more usual role as a tech or functional consultant – win:win. MCT certification can offer you an interesting variety in work and will make you more valuable as an employee or freelancer. It also gets you access to lots more online information, plus 50% discounted MCP exams and sometimes free MOS exams. More info on the benefits and prerequisites can be found here. How to become an MCT? You’ll need to pass, or have passed, recent Dynamics, Office or other Microsoft exams so you can get an MCPID. These exams are there to ensure your technical knowledge is up to date and at high standard. 365 Talent Portal can help you with that as we can give access to PartnerSource, the Dynamics Learning Portal (DLP), and Proctored Exams to our independent members – please click here. Pass the CompTIA Certified Technical Trainer+ (CTT+) certification to demonstrate excellence in the training field. This costs about $200 to complete. Pass a presentation skills course via CompTIA or Microsoft. You can take self-study or online classes in technical presentation, so is thorough, but will cost a bit more. If you are an instructor at an accredited academic institution they can tell Microsoft that you are a good instructor, and Microsoft will believe them. Note that Microsoft charge a fee to join the MCT program, and as a Microsoft Certified Trainer, you will need to earn a Microsoft Certification each year to validate your experience and knowledge in using Microsoft products and solutions for each type of course you deliver. But that means you will be bang up to date with all your knowledge and certifications, so you will be highly employable in a range of roles. Upskilling – what are the sought after areas in Dynamics AX? Upskilling – what are the sought after areas in Dynamics CRM? At 365 Talent Portal we focus on Microsoft Dynamics consultants to give them a single source for Dynamics training, information, news, events, as well as permanent and freelance jobs with some of the best companies in the world. It is completely free to use for consultants. Find out more here or contact us (info@365talentportal.com) to discuss your specific requirements and we can work out which option suits your business best.